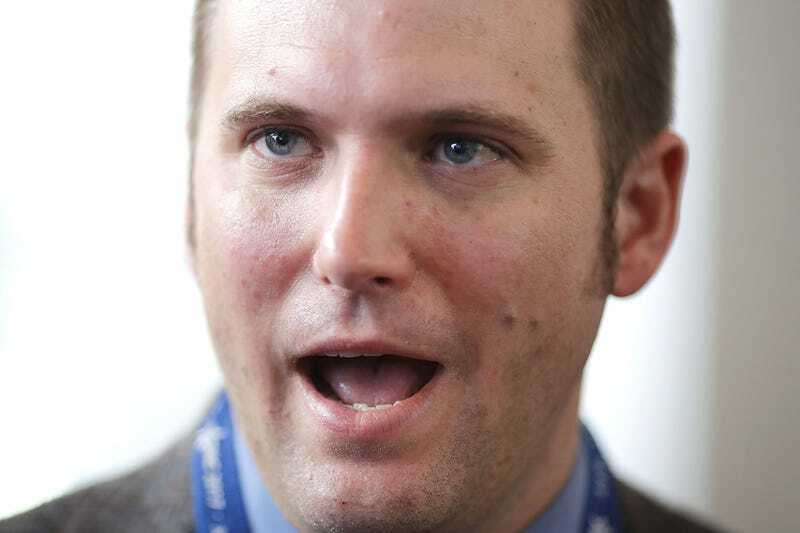 Richard Spencer—a white nationalist who participated in the Charlottesville, Va., rally in August that led to deadly violence—is scheduled to give a speech at the University of Florida on Thursday, and in anticipation of the event, Florida Gov. Rick Scott has declared a state of emergency. In an executive order written Monday, Scott warned that a “threat of a potential emergency is imminent” in Alachua County, where Spencer is scheduled to speak at the Gainesville campus of the university, the Orlando Sentinel reports. The university stated that it is not affiliated with Spencer’s event in any way, but as a public institution, it is legally obligated to allow external groups—such as Spencer’s National Policy Institute —to express their viewpoints on the campus. In an Oct. 10 email, university President Kent Fuchs urged all students to stay away from Thursday’s event, saying that Spencer and his group only want “to provoke a reaction” at their event. In an attempt to leave as many seats empty as possible at the event, a local brewery offered free beer to University of Florida students who brought in tickets for the event. Unfortunately, Spencer and his group have chosen to distribute the tickets to their event themselves rather than have the university do it, so the brewery’s plan didn’t work. Spencer’s group distributing the tickets itself also means that there is no telling who will show up for the event. The university has estimated that it will cost $500,000 to provide security for the event. Scott’s executive order will allow local and state law enforcement to team up and provide security for the event. In addition, the Sentinel reports, Scott will activate the Florida National Guard to help with security if needed.